Kevin & Anne Myers are the owners of Minuteman Press of Myrtle Beach - a marketing services provider offering printing, graphic design, mailing services and promotional products. We proudly serve the Grand Strand, including Myrtle Beach, Surfside Beach, North Myrtle Beach, Little River and Conway. 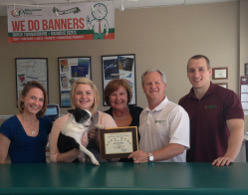 Located at 1772 Highway 501 in Myrtle Beach, we are conveniently located. 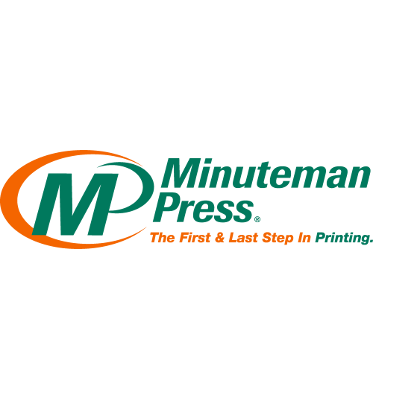 But don’t forget – we offer FREE PICK-UP AND DELIVERY!Minuteman Press is committed to providing you with quality products delivered with a high level of personalized service. Our graphic designers work collaboratively to design a product that presents you or your organization in a positive, professional and eye-catching manner. We encourage you to visit our office to discuss your next project, as well as compare paper samples and discuss approaches to your printing project.Call, stop in or email us to discuss the many products we can assist you with including: banners, yard signs, labels, postcards, flyers, brochures, rack cards, booklets, carbonless forms, note pads, invitations, posters, banners, menus, envelopes, raffle tickets, magnets and more. We have access to more than 300,000 promotional products including drinkware, writing instruments, apparel and gift ideas.Call us at 843-353-2694 for a free evaluation of your current marketing and print materials. Let’s work together to develop an effective and affordable way to promote your company, brand or product within your budget. Have you worked with us in the past? Leave us a review on our Google Places Page!